Original era manufacture. 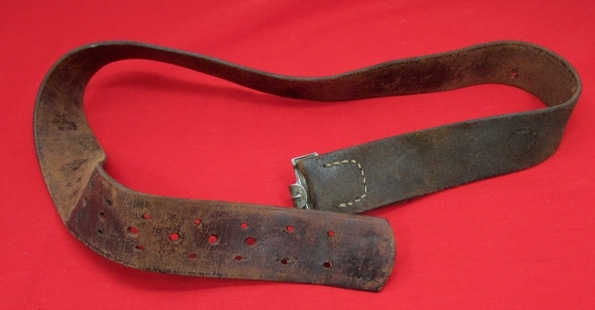 German late WWII Wehrmacht leather service belt, size marked 90cm on the tip, measures 37 inches in length. 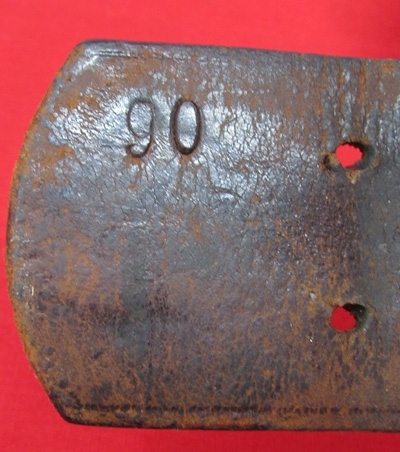 Steel catch, made without an adjustable tongue instead the body of the belt is pierced with prong holes.Displays service use and wear, few extra holes in the body, stitching is sound.